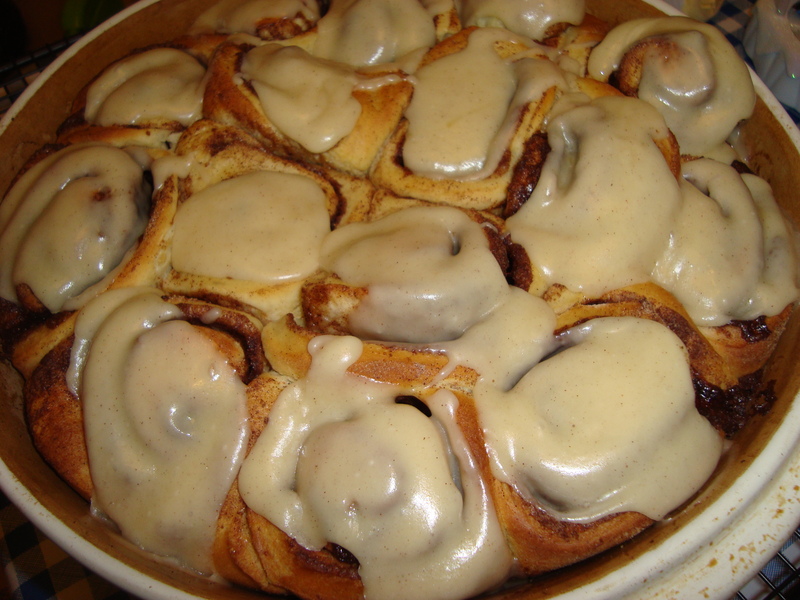 After reading the mouth-watering blog post and recipe on Meridian Ariel I just had to make these cinnamon rolls. Cinnamon is a big favourite in our house and these just seem perfect to have in this chilly weather. You can find the recipe here and I won’t copy it across as Apryl explains it perfectly with photos and everything! I made a brown butter icing instead of the one in Apryl’s recipe as, despite sending Dale to Sainsbury’s for ingredients, I forgot to ask him to get cream cheese. He was already pretty fed up as he had to wait for 20 minutes in the queue as people panic bought their dozens of loaves and pints of milk, so I thought it best not to ask him to go back. Several were devoured warm before I even got the chance to pour the icing on but here are the ones that were around long enough to be iced. These were delicious – you MUST try them! but your recipe differs slightly in that it contains fat both in the roll and icing. I’m looking forward to giving your a go and seeing how they differ in the eating! These make me want to break my diet and bake them! 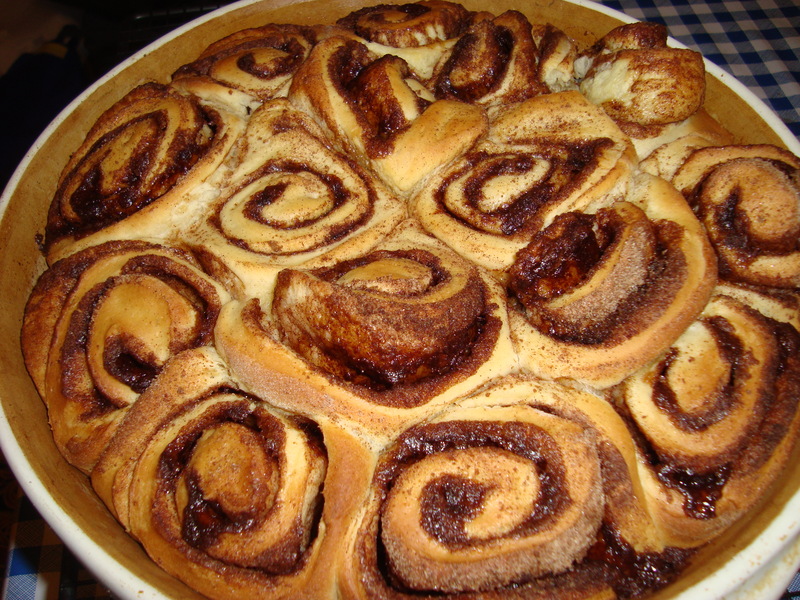 Remind me of something we have in Sweden called ‘bullar’ that are basically sweet cinnamon rolls. If you ever get a chance to visit Sweden you’ll have to try them! Penny – when I make these again I think will actually just stick to a simple icing sugar and water icing glaze. The brown butter icing was nice but I don’t think it added anything to the recipe. Katarina – I’m supposed to be losing weight so these didn’t help with that at all! The Swedish ‘bullar’ sound lovely – I will definitely look out for them if I visit Sweden. Those look divine Amy! Are they easy to make?